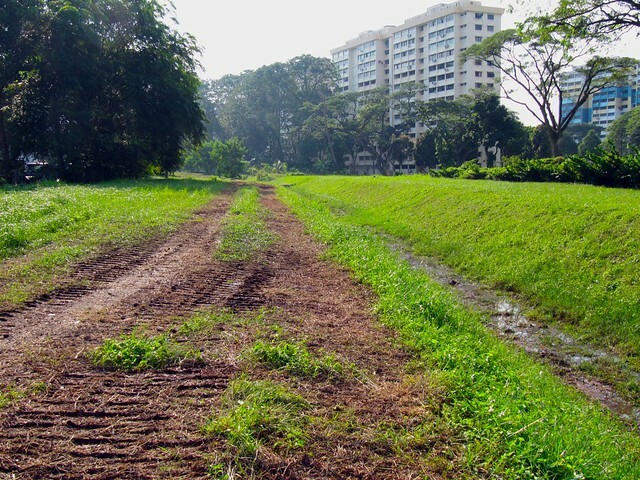 Entering the path from Penjuru Road, you will likely to be greeted by a dirt path. The dirt path that you see here is caused by some machinery that has already started digging up the tracks around this area. 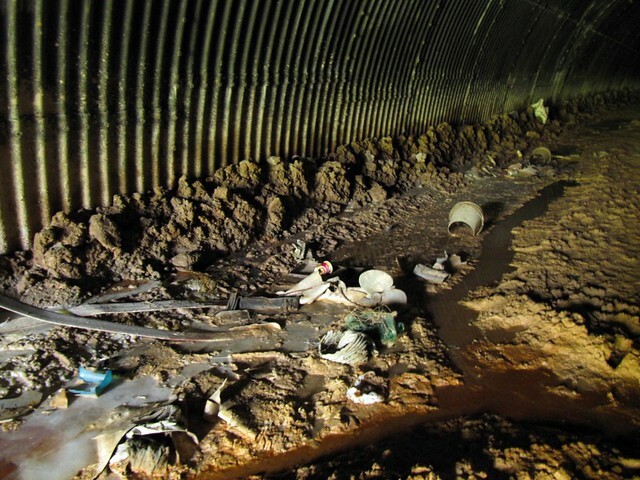 A stream, or perhaps you might refer to it as a drain, runs along the side of this path. 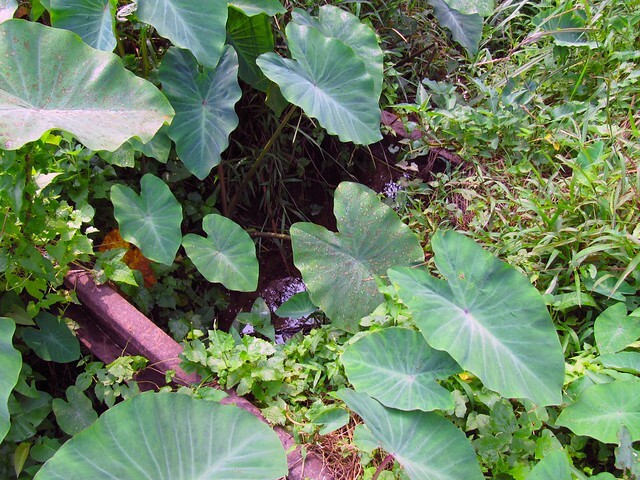 On the opposite side of this stream lie some kampung (villages). Continue walking along the stream till you arrive at a second village of sort. You will also spot a bridge and under that bridge lies some tables, chairs, altars, and maps. And lining the walls under that bridge is graffiti. Walking on a little further, you’ll come to a dark tunnel. 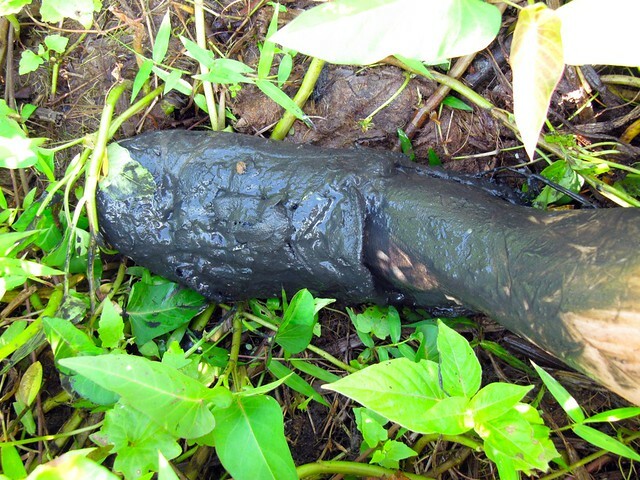 Walk through it, but be careful, as the mud can be very slippery. 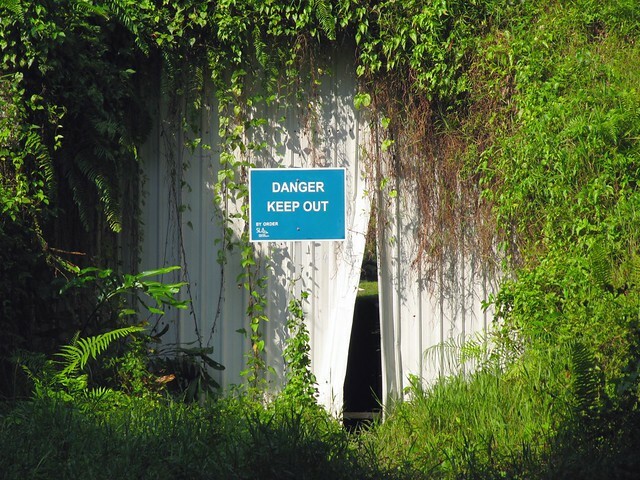 The only way out of the tunnel is through a little opening at the end. At this point, you have the option of leaving the ‘wilderness’ and walking along the expressway, or to carry on. Once you carry on, there is no turning back. If you’re not wearing proper shoes or long pants at this point, I can only suggest that you walk along the expressway. 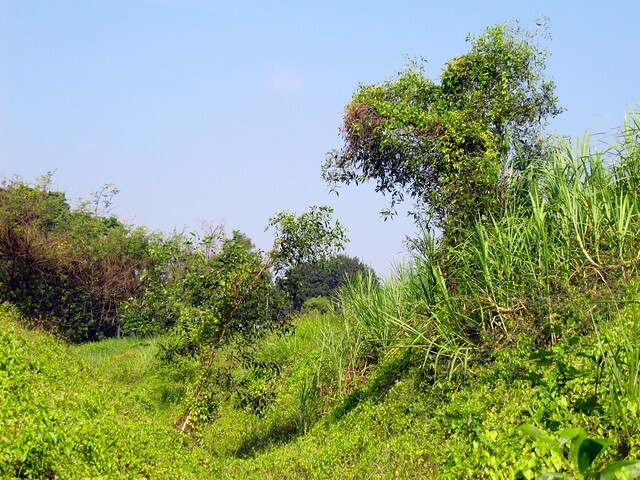 Thick vegetation so tall it towers above you, and wet mud awaits you. 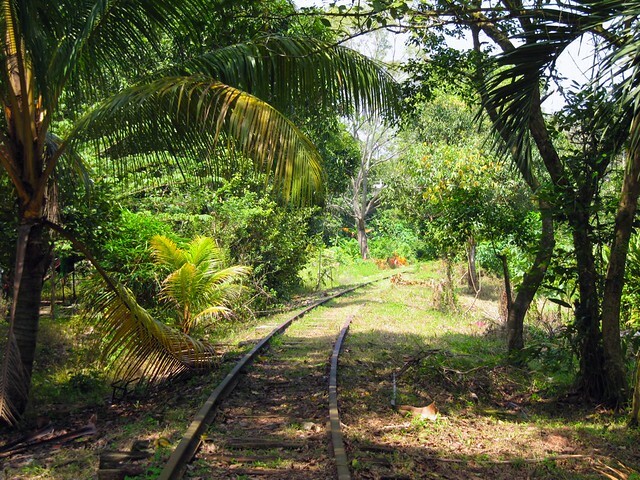 Occasionally, sights of the tracks will delight you, but most of the time, the trains tracks are so well buried underneath all the thick foliage that they are hidden from your sight. 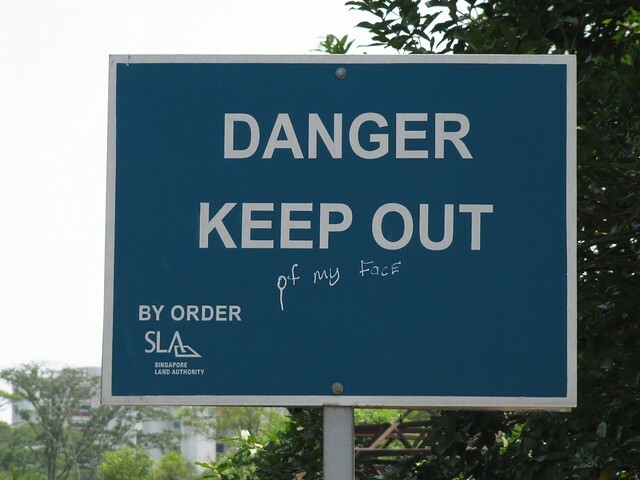 It is, however, a huge adventure exploring this area, if you’re so inclined to the thrill of the unknown. 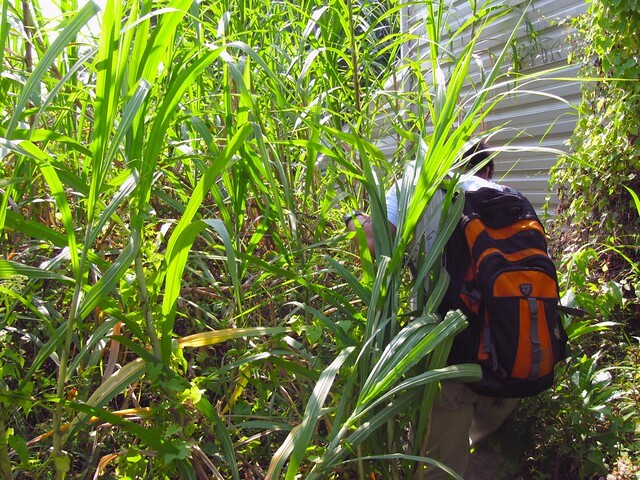 After a long walk bashing through thick vegetation, you will be back to civilisation. 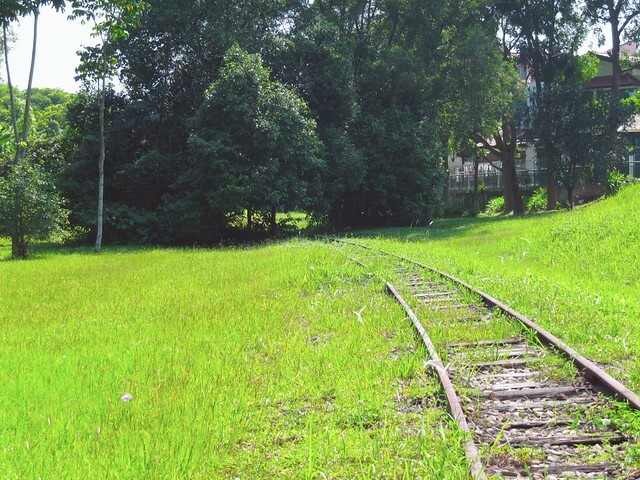 Here you will walk through an estate that seems to be built around the abandoned railways tracks. 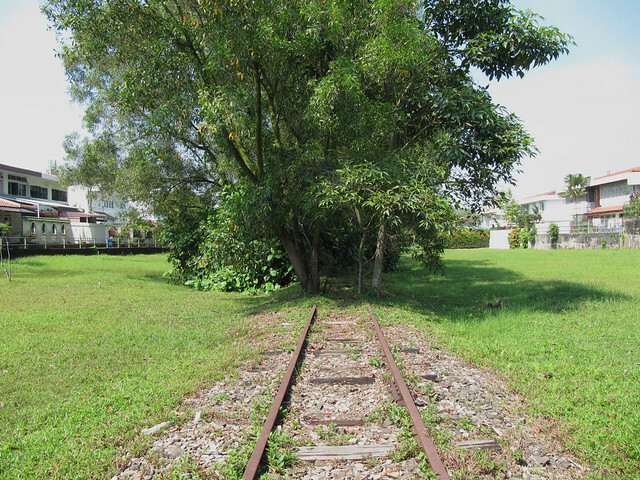 Ever since the train stopped running through this line, trees have grown on top of the tracks. The residents of this area have made full use of the free land that they have, converting them into mini gardens and alfresco dining areas of their own. 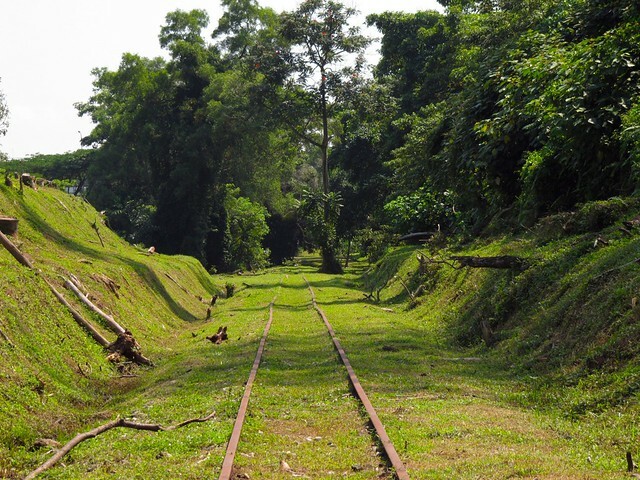 Sadly, the tracks that run through this area are slated to be dug up and removed, and converted into a road. 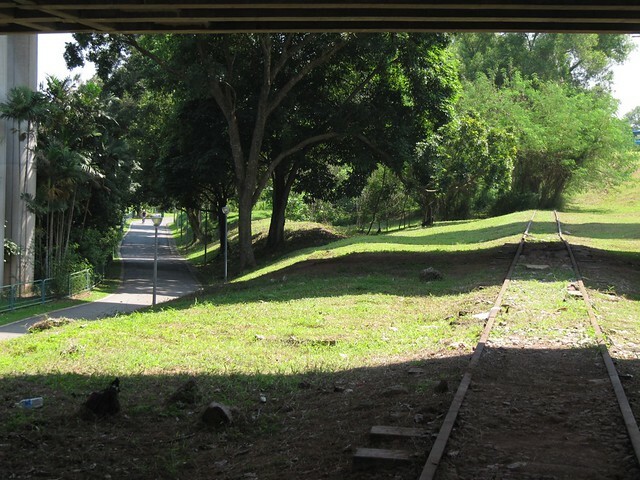 Leaving the Faber Hills estate, you’ll continue down the track, that runs alongside the canal. 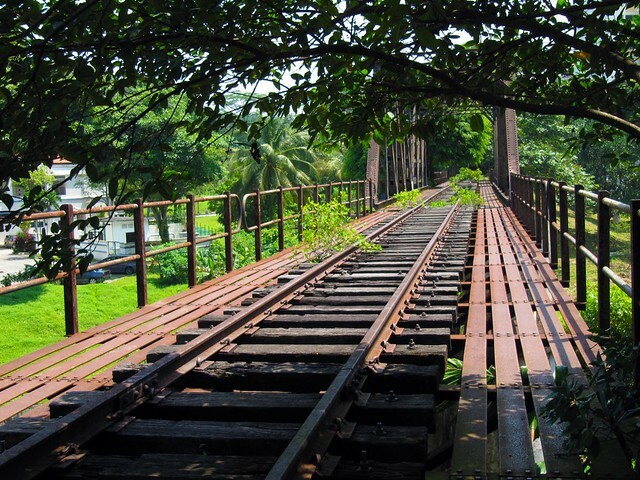 As you continue along the tracks you’ll reach Kampung Sungai Pandan. 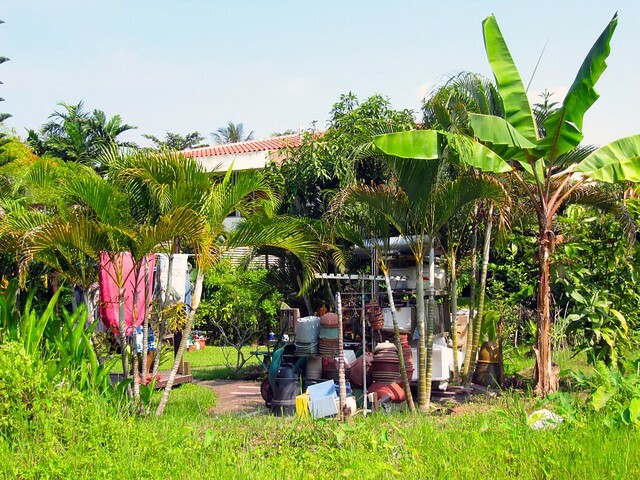 Kampung Sungai Pandan is a popular spot for many as it offers people of today some insight into the village life of the past. The irony of course is that this kampung was, if I’m not wrong, “built” in recent decades and not a property of pre-independence Singapore. 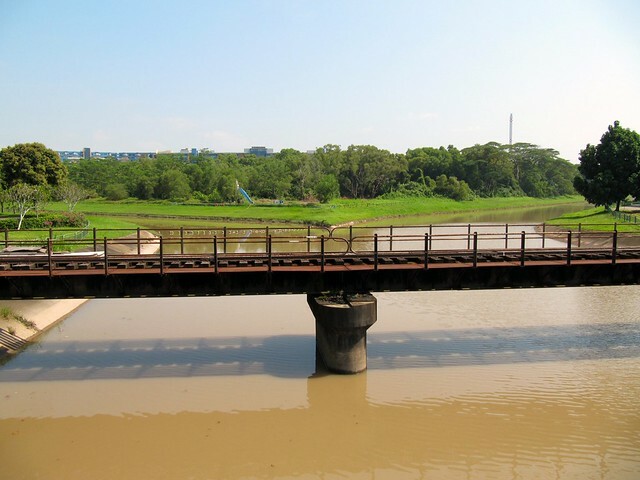 Leaving Kampung Sungai Pandan, you’ll arrive at the very photographed metal bridge that connects Clementi Avenue 4 to Sunset Way. 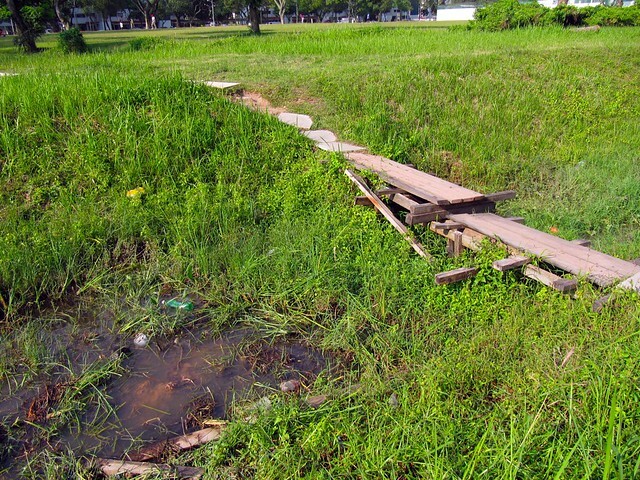 It’s a thrilling experience walking on the rickety metal bridge, but watch your step. 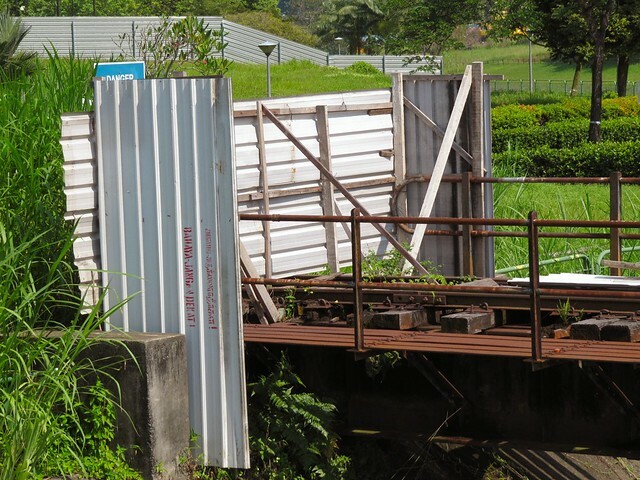 From here, this bridge (pictured below) continues on to Bukit Timah and will eventually link up to the KTM Malayan Railway Tanjong Pagar line. 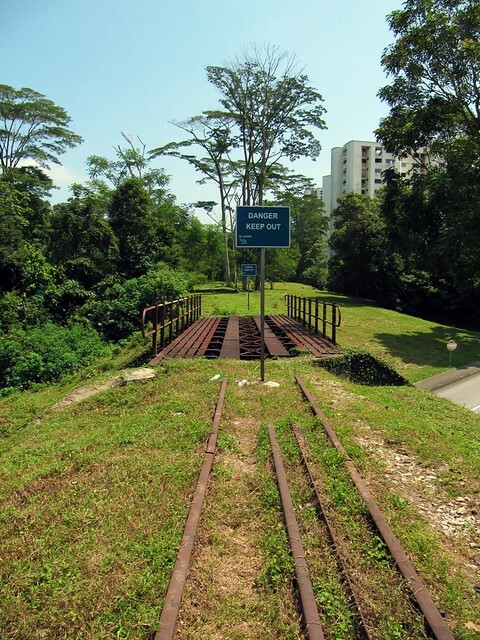 This blog post is one part of the four part series on the Jurong Line.